You can use Custom Run settings to make the Port Royal test more, or less, demanding to see how it affects performance on graphics cards that don’t have dedicated hardware support for ray tracing. Available now from Steam and the UL Benchmarks website. 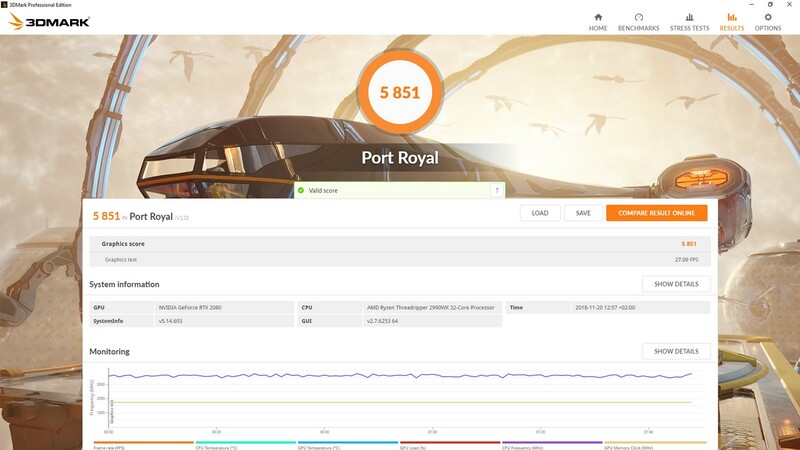 If you already own 3DMark Advanced Edition, but you bought it before January 8, 2019, you can unlock Port Royal by purchasing the Port Royal upgrade for USD $2.99. You can read more about 3DMark updates and upgrades here.